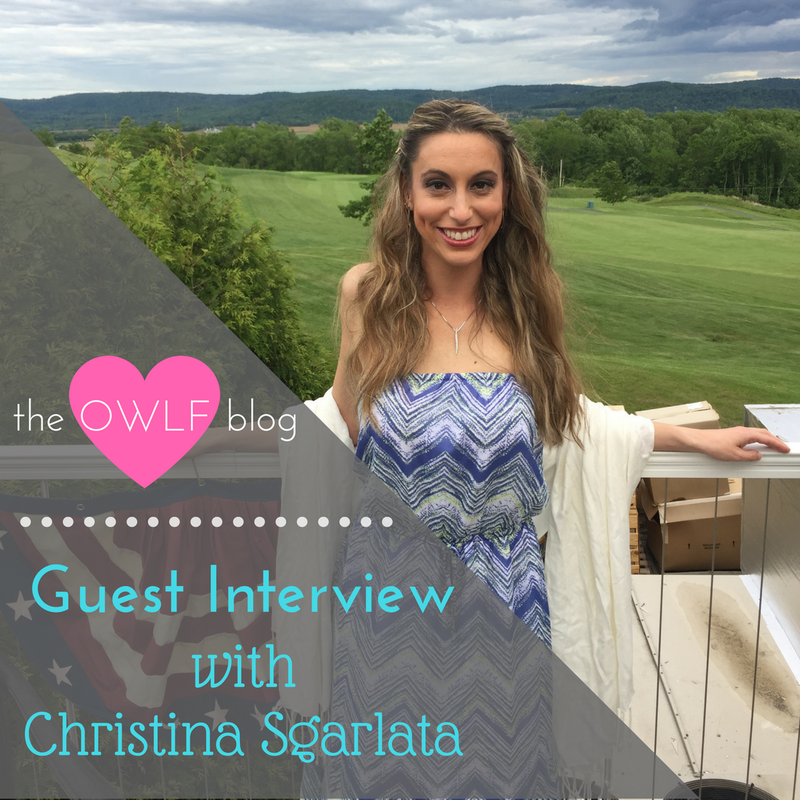 I ask my friend Christina Sgarlata a few questions about living with chronic illness. She has such great insights especially being in the medical field. Her open mind and well-rounded knowledge are so refreshing! I know that this interview will be helpful to so many readers! Many thanks Christina! Christina Sgarlata, BSN, RN, RYT is a friend and a nurse in the Cardio-Thoracic-Vascular ICU with LRS HealthCare, with previous experience in Gastroenterology from St. Luke’s Gastroenterology Specialists. She is a Classical Yoga Teacher and is studying Comprehensive Yoga Therapy at Yoga Life Institute while also pursuing her MSN-Family Nurse Practitioner at DeSales University. Christina enjoys spending time in nature, traveling, and of course, practicing Yoga as often as possible. Be on the lookout for more information about her journey and private and semi-private Yoga classes on her upcoming website at www.SgarletsSanctuary.com. 1. What type of chronic illness were you diagnosed with and when? I was diagnosed with Castleman’s Disease beginning of the fall semester my “senior” year at Penn State. I had my first lymph node removed the March prior, but that was inconclusive. When it grew back 3 months later I had a second surgery and that was when they sent the specimen to Penn Medicine and diagnosed it as Castleman’s. Castleman’s Disease is similar to an autoimmune disease, except that my body’s cells are not attacking themselves, Castleman’s cells residing in my lymph nodes are releasing the toxins which attack my body. The only cure is chemo therapy, and neither they I would want to do that until I am in a much more advanced stage of my disease, so at this point I am just taking care of my body the best as I can. 2. What is the most important thing you have learned, living with this disease? I learned that you can not let yourself be engulfed with worry about how your life will play out with living with a chronic disease with unknowns. Just take life as it is and stay positive. Learn how your body reacts to different situations and different foods and live by the 90% rule. If you do the right things and eat the right things 90% of the time, your body will forgive you for those small cheats. And you can’t control what is happening inside your body, so stressing out is only going to make it worse. Live life, have fun, stay positive, and let what will be, be. 3. It is so easy to get overwhelmed by all the contradicting information out there. How do you know what information to trust? I’ve learned to just trust my body. I of course educated myself medically by talking with my physicians and acupuncturists learned which foods to avoid to help my body be at its top functioning ability. For me this means to avoid inflammatory foods like wheat (gluten), refined sugar, and processed foods. I have found that if I am careful with what I eat, I can live a very enjoyable life. It really isn’t very hard to make these changes, but it definitely takes will power and some discipline, especially at work when people bring in pastries and cakes. That’s why I would pack my own lunch and keep some tasty snacks near by. I found that by educating my co-workers on my dietary restrictions and why that they became much more acceptable and would plan around them, even making me a gluten free cake for my last day at the office. 4. Do you believe that lifestyle has an impact on how the body heals itself? How so? It absolutely does. I am studying to become a Comprehensive Yoga Therapist (CYT) and this is the focus of my studies. Chronic disease does not have to control us, we can control it through lifestyle changes. No matter what your disease is, you have the choice to let it take over your life and cause you to live in pain, or to make some changes to gain your control back. I’m hoping that in 3 years when I graduate from CYT and my Nurse Practitioner that I can help others see what lifestyle changes they need to make in order to improve their quality of life and heal their body. 5. What changes have you had to make in your life due to your illness, if any? The biggest change I made was my diet. Prior to starting my own study of Yoga Therapy I was already avoiding processed food, fast food, refined sugars, sodas, junk food, etc. But after learning about the effect those have on my body, it has become easier for me to just say “No” to those things. I have also changed the way that I cope with stress in my life. Stress makes anyones immune system weak, and for people with autoimmune disorders, it can wreak havoc on their body. A huge stressor of mine was my previous job. It was a very difficult decision to make, but I had to leave that position. I was lucky enough to be able to just switch gears and go back to floor nursing, but for some people they may just need a little time off to recover if they can manage that, or switch to part time, which is essentially what I had to do. Our bodies are the only one that we have, and when you have a chronic disease, you need to take as good care of yourself as you can. And if that means sacrificing some things in order to work fewer hours in a week so that you have more time to take care of yourself, then that may be a decision that you have to make. 6. Would you say a persons mental/emotional health plays a major roll in their quality of life? Absolutely. If you allow yourself to become too stressed or depressed over your chronic disease, it is going to make you feel worse. I was in that situation over this past winter. I was getting numerous infections and being on constant antibiotics was making my body sicker and weaker. I was fortunate enough to be able to take a vacation, which helped me relax and kick the cycle of infections. Similarly in the beginning of the summer I was starting to cycle back into back to back infections and was able to take another break to get better. For a time I was seeing a psychotherapist, which was helpful. I also almost went on antidepressants, but instead chose to start acupuncture. Through acupuncture, yoga, and meditation, I have been able to greatly improve the quality of my emotional health. I definitely recommend people to seek help if they feel like they may need it. It is a shame that there is such a stigma in our society for people who need help with their emotional health, and so few practitioners. 7. Working in the medical field, do you feel the majority of people know their rights as a patient? I think that the biggest patient right that people do not comprehend is that you are in charge of your health. You can’t just idly go with what the doctors say. You have a choice to accept what they tell you, succumb to their diagnosis and treatment plan, or go out and find alternative views or changes that you can make to accompany their treatment plan. I must have gone to 10 different specialists before I decided to go outside the box and go to acupuncture. That’s what works for me. Now I’m not saying to stop medications and treatments, but look inside yourself and try to figure out what is at the core of your condition. I would definitely recommend looking into Yoga Therapy, or another alternative holistic therapy. You may need to stay on medication and treatments long term for your chronic disease, but you can help yourself with the side effects and other psychosomatic (mind-body) interrelations with your disease and life through alternative holistic measures. 8. Why do you think educating yourself about your disease is so important? You need to know what is happening in your body in order to understand what is going on. Just listening to what the doctor tells you will not help you heal. Going on to the .org sites to find the true research and education about your disease is the best thing you can do. You can also find support groups and forums there. I would stay away from just googling your disease and definitely stay away from WebMD. That site can be very confusing and is too general for the general population. It is very easy to misdiagnose yourself with things which are not happening in your body and cause yourself more worry and stress. And have a conversation with your health care team. There will often be a nurse or Physician Assistant around who can break down things a little better and have the time to explain things and discuss your medications and treatments. 9. What do you personally do to cope when you are having a flare day? If I am able, I take time off work, even if it is calling my manager and saying that I can’t come in until 10 and give myself a few more hours of sleep. I also practice Yoga daily and take time to mediate. One day was so bad that I made an emergency acupuncture appointment, and had to drive an hour and a half there and 2 hours back, but it was what my body needed. It’s important to remember that when your body is flaring, it is trying to tell you that something is wrong, and you need to honor it and listen to it, or else it will just get worse. 10. If there was one tip you could give to those with chronic illness, what would it be? Stay positive. More than anything else, staying positive is the best thing you can do for your body. Coming from a Yoga Therapy side, I try to keep all things around me “pure” and positive. This means that I listen to Joel Osteen around the clock. I have Sirius XM radio and put him on as soon as my alarm goes off and put him on through work. I don’t necessarily subscribe to the non-denominational Christian part of it, but every moment I get, I tell myself “I’m blessed, I’m healthy, I’m strong, I’m prosperous, I know that my best days are still out in front of me.” You don’t have to go along with everything that he says, but believe me, he is one super positive person and listening to him has been a life changing experience these past few months. You can also find him on YouTube and listen to free playlists. You have the power to feed your mind and body positive or negative things. Instead of watching the news, I watch Joel. The news is horribly negative and honestly, there really isn’t much we can do about everything except let ourselves get upset. Joel Osteen uplifts me. Find things that make you feel good, and stick with them. Don’t let negative thoughts bring you down. You have the power within you to get and keep yourself healthy and be a happy positive person who happens to have been diagnosed with a chronic disease, but you are not a chronic disease. You are a wonderful, happy, healthy, strong being. And of course, Namaste. Readers–I’d love to hear from you, what was your take-away? How do you deal with a flare mentally and physically? Have you spent time educating yourself on the specifics of your disease? A very good read. Thanks for sharing this information. I think the big learning here is to be your own champion and know that you have options and choices. You can be your own voice. Great take away! I agree it's so important to “be your own champion”!